Starwood Hotels & Resorts announced the launch of keyless entry at 10 Starwood properties around the world on Monday, allowing guests to check in and open their room door with their smartphone. Starwood Preferred Guest loyalty program members can check in up to 24 hours before their stay at the participating hotels by downloading the SPG app (for iPad, iPhone and Android) and registering their phone through the app. Then, via Bluetooth Low Energy technology, all guests have to do is show up at their door, hold the app about a couple inches from the lock, and—presto—a green light flashes and the door is unlocked. The 10 participating Starwood hotels include: Aloft Beijing, Aloft Cancun, Aloft Cupertino, Aloft Harlem, W Doha, W Hollywood, W Hong Kong, W New York-Downtown, W Singapore and Element Times Square. To unlock their room door via the app, guests must turn notifications and Bluetooth on and make sure Airplane mode is off. This is just the start, too. Starwood plans to introduce keyless entry at about 150 Aloft, Element and W hotels by early 2015. 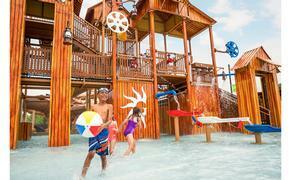 Guests must be SPG members to use the technology, but it is free to join. Reservations must be made through official Starwood websites, the SPG app or the Customer Call Center. At this time, keyless entry is available for reservations made for only one room. While other hotel companies have introduced mobile check in, these companies still require guests to grab a key card at the front desk upon arrival. 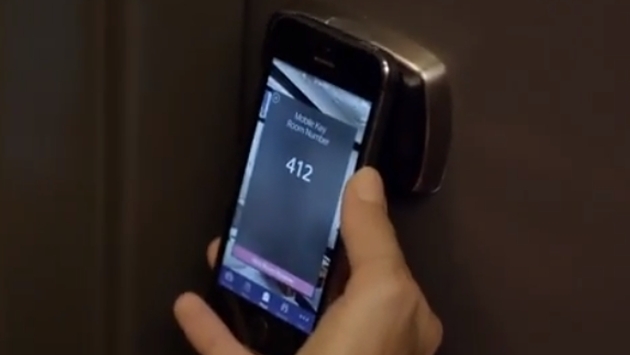 Starwood is the first hospitality company to allow guests to check in and go straight to their door using their smartphone. However, Hilton Worldwide also announced on Monday that it would be providing check in and keyless room entry to Hilton HHonors members staying at U.S. properties of the Hilton Hotels & Resorts, Waldorf Astoria Hotels & Resorts, Conrad Hotels & Resorts and Canopy by Hilton brands by late spring 2015. Hilton became the first hospitality company to offer room selection via mobile and Internet-based floor plans in July.